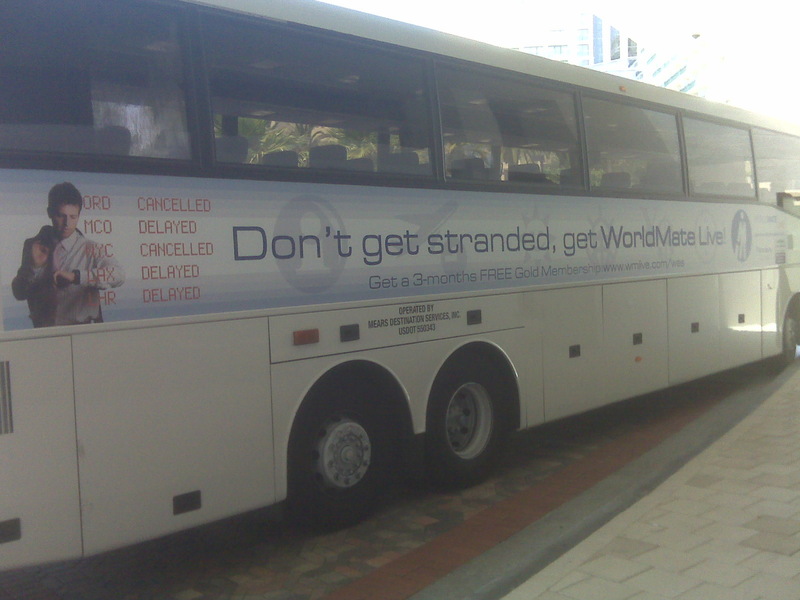 PALO ALTO, Calif. – WorldMate Inc., the industry leader in mobile travel services with nearly 5 million members worldwide, announced today that it has integrated with LinkedIn’s APIs to give WorldMate users the power to connect with business colleagues in their destination city. WorldMate members will be able to communicate easily with their entire LinkedIn network through the WorldMate website and Blackberry app. With this new offering, members can share their travel and meeting itineraries, notify their business contacts when they arrive in their destination city, search for contacts by city, and quickly access professional profiles of their colleagues before walking into their next meeting. This LinkedIn functionality is immediately available to all WorldMate users. WorldMate is featured in the “Exhibitor Spotlight” in blackberrycool.com. The BlackBerry travel companion of choice just shot off their first newsletter, announcing a few changes to WorldMate Live. For one, the Outlook plugin has been smoothed over with improved compatibility with older versions of Outlook. 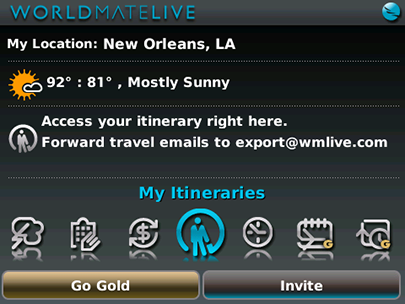 The biggest change is being able to add and edit itinerary items right from your BlackBerry. This was my primary gripe with WorldMate Live, and it’s great to see the improvement made. It wasn’t even much of a problem, but really just a gap in function. Another cool feature is the ability to CC WorldMate Live for travel confirmations so that bookings are immediately reflected in your itinerary without needing to put it all in through Outlook. This is a great app that helps you keep all of your travel plans together in one spot, so go ahead and sign up for free, and if you’re already hooked up, you can grab the Gold subscription here, which includes flight alerts, status and schedules, along with a handy travel directory and 24/7 customer support.